Andualem Arage,Eskinger Nega, Temesgen Desalegn and nine other journalists,activists and bloggers are set free from detention today after ten days behind bar. They were arrested when they were celebrating,in the residence of journalist Temesgen Desalegn,their release from prison. The alleged reason for their rearrest is said to be related to the use of an Ethiopian flag that the current government outlawed. Initially, reason for their arrest was unclear and the speculation was that they were arrested in connection with the state of emergency which banned constitutional rights of freedom of expression and freedom of assembly, among others. The gathering at the resident of Temesgen Desalegn was also meant to be a thanks giving event for politicians and journalists who spent more than six years in prison on trumped up charges under the infamous “anti-terrorist” legislation – a tool that the opposition consider to be a way of legal repression against dissenting views and freedom of expression in Ethiopia. The release of political prisoners in February came after executives of the ruling coalition decided in December 2017 to close down the infamous torture chamber in the capital,Maekelawi. Decision to release prisoners is believed to be,partly, a result of the struggle from within the ruling coalition, EPRDF. Likewise, some analysts tend to relate the rearrest of the journalists and blogger some ten days ago to TPLF’s reassertion of power within the ruling coalition. 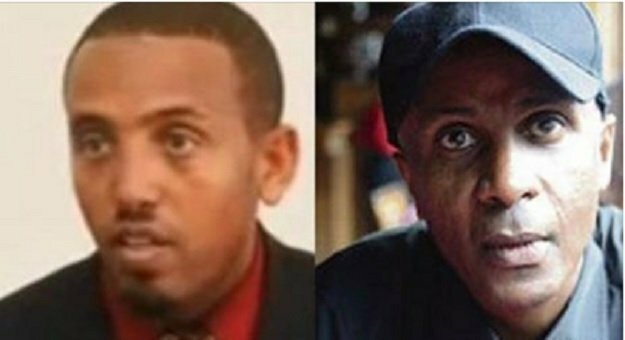 Mahlet Fantahun and Befkadu Hailu (who are members of zone 9 bloggers group and who were also in prison for more than a year), and Zelalem Workagegnehu, a co-blogger at Debirhan, are among those released today, according to DW Amharic report. Zelalem was also in prison for more than three years in connection with his blogging activities. Yesterday, 19 activists,some of them university lecturers to lawyers by profession, who were detained in Bahir Dar,western Ethiopia, a week ago were released ; these group were arrested on alleged grounds of a move to form a political party for ethnic Amhara. It is unclear if the release of these activists and politician has something to do with a decision by the new prime minister, Abiy Ahmed. Donor countries in the west including Canada encouraged the new prime minister to release political prisoners in the country and take reform measures to ensure democracy and human rights in the country.